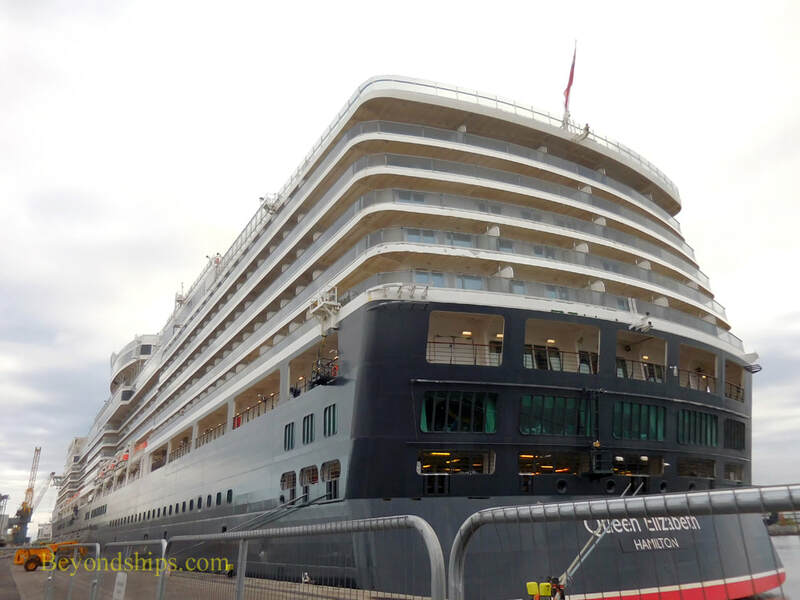 Belfast is a rapidly growing cruise port. The number of cruise ship calls has essentially doubled in the last few years. In 2017, there are 88 cruise ship calls scheduled bring 150,000 passengers and crew to Belfast. 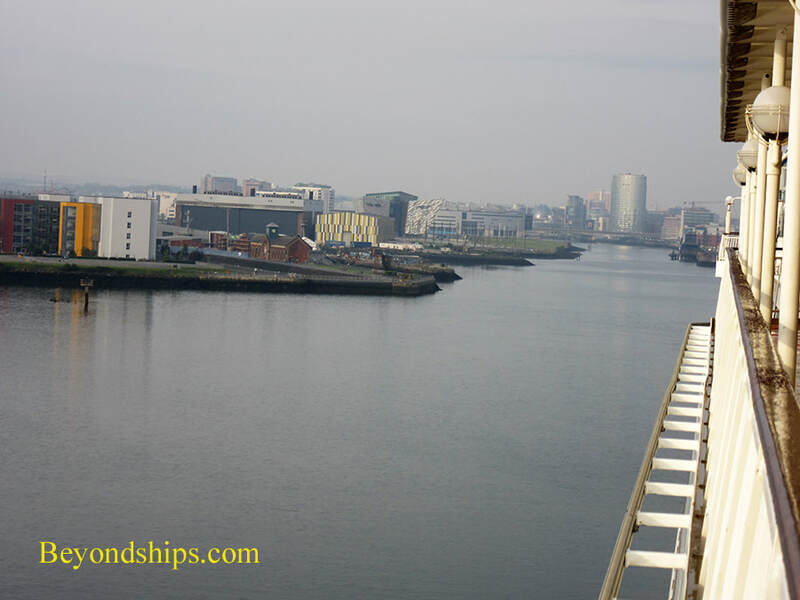 The city, located on the River Lagan, has long been a major port and remains the main distribution center for Northern Ireland. It has a huge harbor area. In fact, 20 percent of the city is included within the harbor estate. Most cruise ships dock at the Stormont Wharf. Small ships can berth at Pollock Dock. A new cruise ship terminal has been proposed. 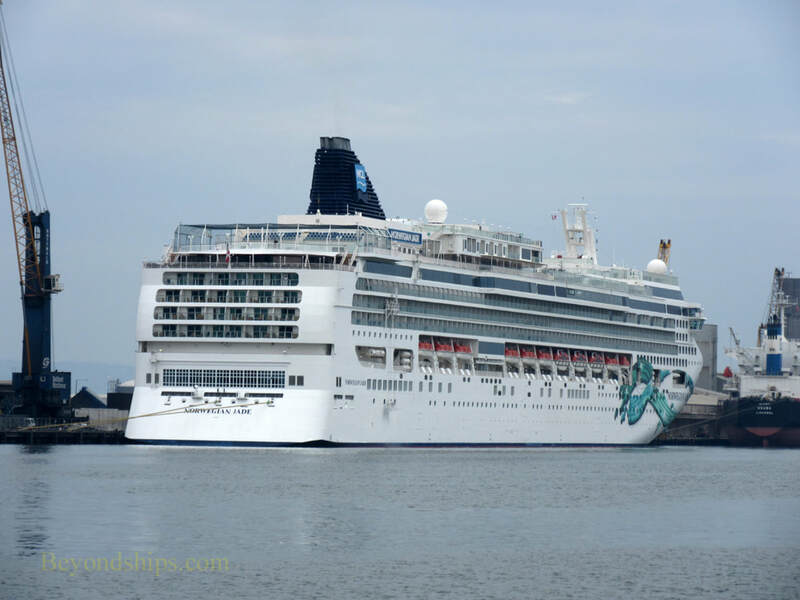 The cruise berths are located in the commercial cargo harbor two to three miles from the city center. There are no attractions or places of interest near the cruise berths. 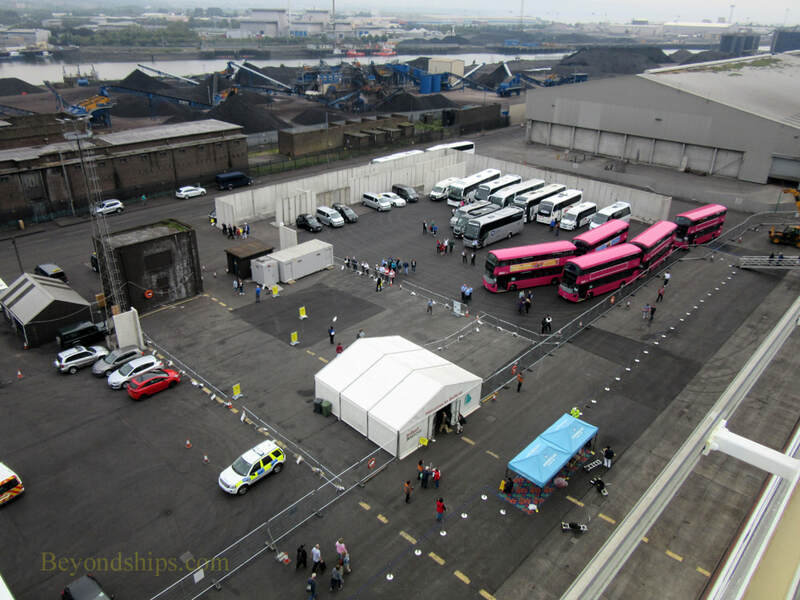 However, ships docked at the Stormont Wharf have good views of the Titanic Quarter across the water from the berth. Shuttle buses take passengers into town to the Belfast Welcome Centre near the City Hall. The city center is quite walkable. The public bus system as well as the local hop on hop off bus take visitors to attractions further afield. Below: Norwegian Jade docked at the Stormont Wharf. 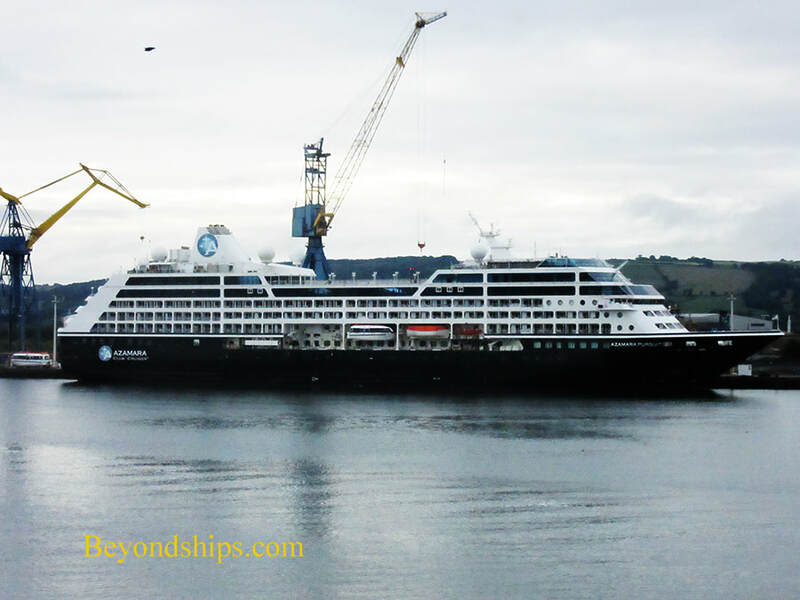 Above left: Azamara Pursuit undergoing a refit at Harland and Wolff. Above right: Queen Elizabeth during a call in Belfast.